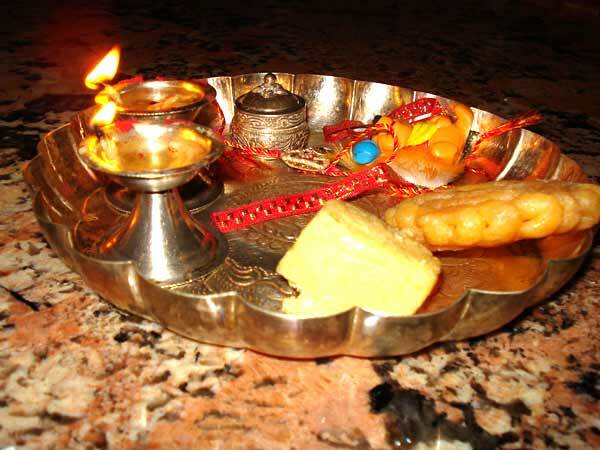 Raksha Bandhan is a festival which celebrates the bond of love between brothers and sisters. It is very special for those who have a brother or a sister. Earlier, even if somebody did not have a sister or a brother, there were cousins with whom this festival could be celebrated. A family gathering with uncles, aunts and cousins made this festival very special. With the family system getting smaller these days and people moving out of cities and going abroad, children do not get to see their cousins very often.I am blessed with an elder sister but don’t have a brother. During my childhood, we used to have a big family gathering with all my uncles, aunts and cousins on the day of Raksha Bandhan. My aunts would tie Rakhi to my dad and uncles and we would tie Rakhi to our cousins. Gradually, this ritual started decreasing with everybody getting busier in their own lives. 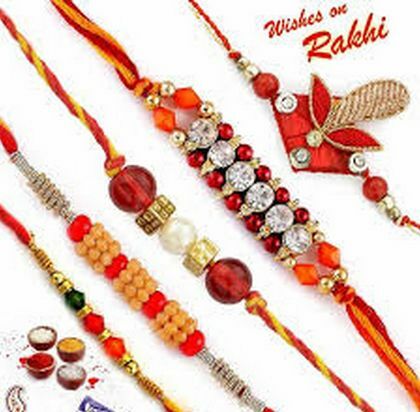 Raksha Bandhan came, the markets were flooded with beautiful rakhis, my friends used to be excited for celebrating this occasion with their brothers and discuss what gifts they would be asking from their brothers. I felt sad for not having a brother to tie Rakhi on the occasion of Raksha Bandhan. My parents then asked me why do I need a brother when I had the most caring sister. “I want a brother to tie Rakhi. I cannot celebrate Rakhi with a sister. All my friends have brothers and our cousins would be celebrating it in their house. I don’t have a brother to celebrate Raksha Bandhan,” was my reply. My mother then made us celebrate Raksha Bandhan by tying Rakhi to our father. She said that fathers are like brothers too, for they care and protect us just like a brother. Our fathers love us the most and are there for us always. This year, when I recalled that incident, I thought that my daughters too should not miss celebrating this beautiful festival just because they do not have a brother. Raksha Bandhan celebrates the bond of love between siblings. Sisters share this great bond of love too. Sisters make the best of friends and always remain close to each other. The way a brother promises to protect his sister, a father protects his daughters too. So, why should this festival be limited to just brothers and sisters? On the day of Raksha Bandhan, I decorated the thali with sweets, tilak, diya and rakhis. My daughters first tied Rakhi to their dad who loves them the most and protects them from any possible danger. Then, they tied Rakhi to each other to celebrate the love that they have for each other. They promised to each other that they will stand with each other through thick and thin and will always be there for each other. They gave each other a hug and celebrated their sister love. Raksha Bandhan is a festival of love and relationships. It is a great way of teaching our kids the value and meaning of family, love and relationships. Let us not just limit it to a brother sister relationship but take it as an opportunity to spread love and strengthen our bonds, be it only sisters or be it only brothers. In this way we celebrated Rakhi in our house. I would love to hear from you how you celebrated it. This blog is a link up with Amrita and Deepa for #Mondaymommymoments. Can understand your thoughts Vibhi. I have sailed in the same boat because of not having any brother. With time, I have overcame my sadness and hate for this festival. Now I make sure that my son celebrates it joyfully. I read your thoughts in your post. Truly wonderful. Now, I feel all the more happy. I have an awesome sis and we don’t feel the need of a brother. Nice post and nice thoughts Vidhi. I have an elder sister and never had any sad feeling of not having a brother so that we can tie rakhi. My parents told us the same things what you told your daughter. The main notion behind this festival should be care affection between siblings and not just brother and sister. Rakshabandhan was so much fun when we lived in a joint family. Today, everyone is scattered all over the world and we seldom meet. This post made me so nostalgic. Aw I understand the feelings you must be having! I can very well relate to this We are two sisters and we use to tie rakhi to our dad. Now both my kids tie rakhi to each other. Lovely post. I live in Australia and my whole family is in India and I miss them. I can completely understand how you feel. I was away from home. And missed celebrating rakhi with my brother. I make my daughters tie Rakhi to each other every year & explain them that they are siblings and should be there to protect each other when needed. I hope they never feel the way a lot of single kids or sisters siblings feel. I have a similar experience of tying rakhi to my sister .Somehow cousins never give the same feelings.Thanks for sharing your story with us on #MondayMommyMoments.